History: I began my hospitality journey by bartending in Japan before working in Castia at a French restaurant. I then moved to a 3 Michelin star restaurant in Tokyo called Ryugin. After that, I worked at a restaurant called Fish Bank, also in Tokyo, before moving to Sydney where I worked at the Ocean Room. Finally, I ended up at Waqu. Yes - I began my career as a bartender and worked my way into cooking from there. Based on French Japanese, but I’m not afraid of taking or introducing other cuisines into my cooking. No boundaries! Finding the moment of perfect cooking. 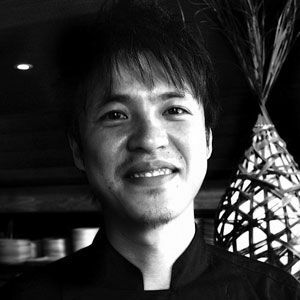 Seiji Yamamoto (3 Michelin star chef). Cooking is a never-ending quest. I love making people happy!